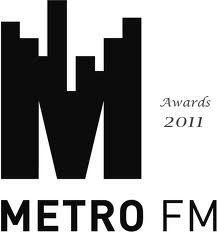 The Metro Fm Music Awards better known as the MMAs are an annual South African music awards event. This gives an honor to our local artists that have contributed to the music industry. This year they were held at the Mbombela Stadium in Nelspruit on a Saturday 26, November 2011. The event was hosted by the lovely Zizo Beda and Tbo Touch. They had twenty categories which included a double lifetime achievement Award. Ray Phiri and Spikiri (Finally he got an Award) were honored for their lifetime achievements. Three of our local artists highlighted the night with multiple wins; I'm taking about Zahara, AKA, and the Durban muso's Big Nuz. Just in case you think the event was well organized, oops it actually was NOT. This is what the former Isidingo actor Tumisho Masho tweeted "But do the technical people @metroFmSA know we can hear everything backstage and the stage manager panicking? Come on guys let's get it together". He continued "Really enjoying the MMAs but seriously the sound guy needs to wake up. We can hear the presenters backstage and the stage manager, it’s unacceptable". Are you surprised? Well I'm not. This annually happens at the SAMAs too. Remember when they had to exchange mics on the stage to honor an artist with an award? Remember how they seemed like they had been planned only a few hours ago? Can they learn from their mistakes? This is a HUGE embarrassment! Now this is beyond funny, the following morning after the awards Sunday World published a wrong picture of AKA on their article AKA vs Zahara. Like really now? Editor or Journalists zabo kanti ziyadakwa na? The guy they "mistook" is not even close to looking like AKA. This is what the REAL AKA tweeted after seeing the photograph “Shout out to the dude on the left who ISN'T me”. Sunday World was not the only Newspaper that published crap as usual. City Press claimed Bonang Matheba wore a cat suit to the award ceremony YET she did not even attend LOL I am dead please bury me. She tweeted "City Press says I wore a Catsuit to the metros!! Haahaahaaahaa!!! Must've been my twin'. Atleast she found some humor in it. Eeeer Kenny Kunene didn't. LOL! This is the list of the winners. NB: The delayed broadcast of the awards will air on Friday 9 December 2011.